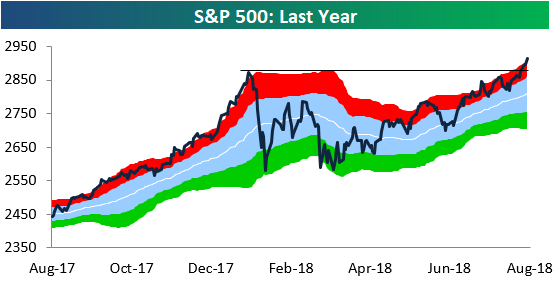 As shown in our trading range chart below, the S&P 500 continues to leg higher after breaking out last week. Another bullish signal is that every major sector is now back above its 50-day moving average. You can see the recent moves in the snapshot below from our Trend Analyzer tool (available for use by Premium and Institutional members). The Energy sector (XLE) joined the party with a move back above its 50-DMA today. 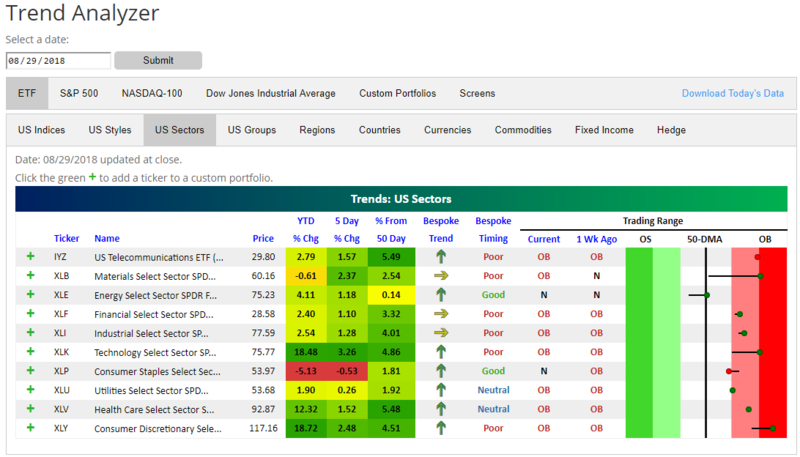 Outside of Energy and Consumer Staples (XLP), every other sector is also trading in overbought territory.